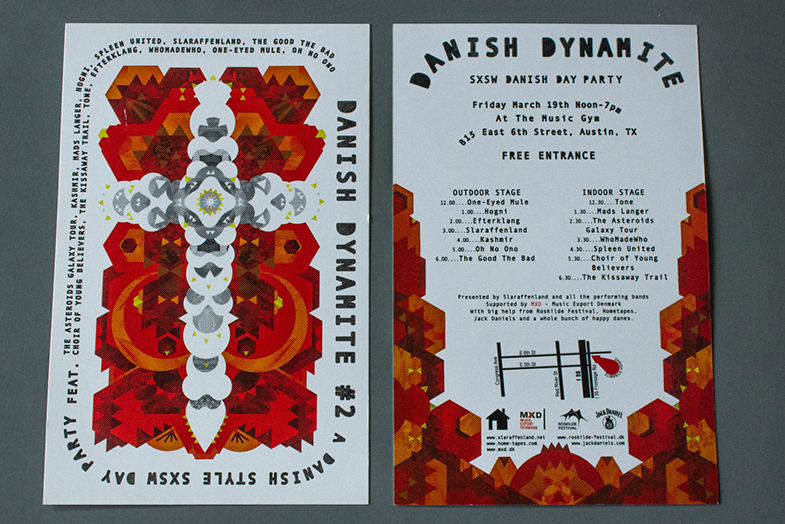 Flyer for a “Danish day party” at the music festival SXSW in Austin, TX. The party featured all the danish bands performing at the festival. 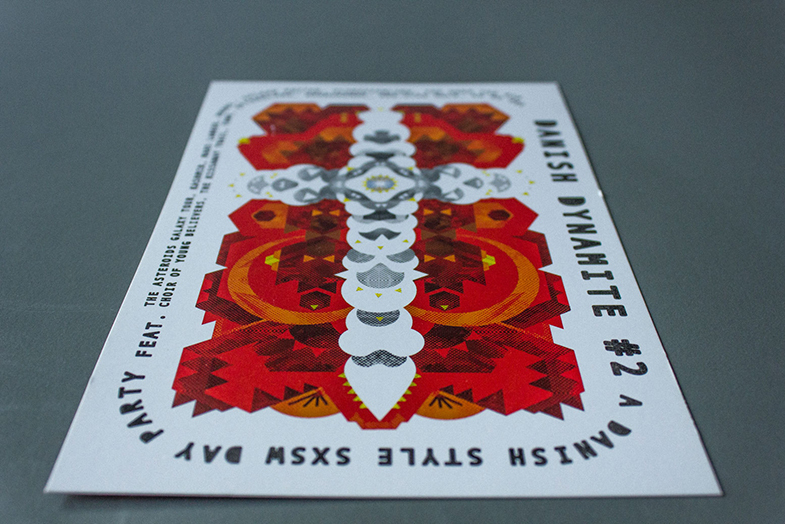 The design was made as a reinterpretation of the danish flag.